Discussion in 'Archive (Read Only)' started by Hummel-o-War, Jul 2, 2017. PLEASE read the FAQs before reporting bugs that may just be gameplay changes. Summary: Playfieldserver crashes with unknown cause. FINAL UPDATE: This was fixed with 6.3.1 hotfix. Thank you! Summary: One CV's position randomly moves/changes anytime the playfield it is located in is loaded. One SV's position keeps reverting to a specific one and it doesn't exist. Description: Both these thing occurred upon launching with 6.3. Any time the playfield it is in is unloaded, one specific CV, named Cathedral in the included save, moves position and orientation, usually within a hundred meters, but one time it was nearly 1km away. UPDATE: Whenever the playfield is loaded, the specific CV is launched with random velocity and rotation. If it is left powered on with engines running it can stop itself before getting too far, but still moves. We have 2 other CVs that are unaffected. UPDATE2: A specific SV, when docked inside a CV is the cause of the problem: https://i.imgur.com/AJLvBjp.png 3 other SV designs we have do not cause the issue. Also this does not occur when this SV is docked externally. One specific SV (Explorer, in the save game) had its position moved to a far edge of the playfield it is in, 8km away from its previous position. Upon approaching it, there is nothing there. 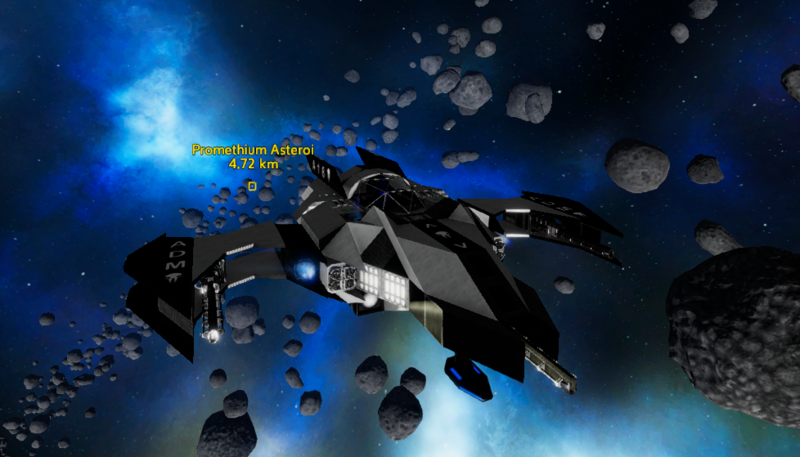 Dropping a new SV starter and copying the files over results in creating a new ship that works. Set coordinate change on the Explorer SV and it is ignored; it will not move from the position it was forced to, and doesn't reappear. Steps to Reproduce: Reload playfield/reload server and the CV will move; the SV is always stuck at the same position and won't appear. Esher and Tyrax Lightning like this. Severity: Major for me and all. MOST not all , Drones when shot down WILL Fall through the ground when you approach with a SV, Bike, HV. Very annoying to go up to a drone and it just falls through the ground. Description: While attacking a POI with a friend, after more than 5 minutes, we both died (last enemy of the last room of course). We respawned near, and the POI regenerated (drone base on a desert planet) and proceeded to fire. This makes getting backpacks back really hard, because you have to do it from the beginning with no stuff. It can regenerate with an SV inside, too. POI should regenerate after 5 minutes last player left the building, not after 5 minutes first player entered when there's no one inside. Steps to Reproduce: Go in a POI with another player, wait inside more than 5 minutes, die both. Order of entering and dieing may be relevant, but I don't remember who was first to enter. Summary: The max block length is supposed to be 250, but it is 238 now. It makes older ships unrepairable, as you cannot lay blocks where you used to be able to. Description: Some time around 5.5 it started, and it is still an issue. You can no longer go 125 blocks out from the core in one direction. You cannot place blocks roughly 119 blocks. Even on ships already made, you can no longer set blocks past this limit, even if blocks exist already. Steps to Reproduce: try to make a ship longer 238 blocks. And if you try to add blocks to the front, you get a red icon. I've tried quitting, reloading, turning off RCS's and other things to get it going with no luck. Sometimes the games turns things off when using them in game. "Weird"
slyreaper and Tyrax Lightning like this. I picked my garden and put it in the food processor. It made 23 cans of vegetables. Withing 5 mins I picked another 43 tomatoes from another ship, pulled 28 pieces of meat out of a fridge which had most of its perish time let and put the tomatoes and mean into the food processor. Instantly the meat, tomatoes (freshly picked less than 2 mins ago) and the 23 cans of Vegetables which were in the output of the food processor (which were constructed less than 4 mins before, and all other unused vegetables in the food processor all turned to "Spoiled Food". 123 good veggies and meat all bad instantly. I tried re logging just incase and they still are Spoiled. This is game breaking if we can't reliably make food. After all anything not processed can give food poisoning right. Most of my Pl.Charge SV are not detonating on impact. They just hover in mid air once the reach a target or terrain. Most of the time they detonate when i get within 50 meters or so but that they are not detonating anywhere near their max range. Means i have to spend a lot more ammo to take out a target. I assume nothing has been done about this bug since 6.2 so this likely is the same for all projectiles as it was then. How about fixing a real bug and not working on fertilizer plot colors and plant textures. Description: I was playing an MP game on the local dedicated server on my PC with another person. He had clear blue skies and birds singing. I had a massive thunderstorm. I was in a basement, 8 blocks below the surface. He was in a tower, 8 blocks above the surface. I went out the basement door, and it was raining. The weather was "Storm." The other person had clear skies. I went up the tower. I also had clear skies. I went back down to the basement. It was still raining there, and the other player still had clear skies up in the tower. We were separated by a vertical distance of 16 or so blocks, but our horizontal distance was less than 10 blocks. Ok my 1st bug report. Yesterday everything was working just fine in v6.2, todays update went just fine. I started the game (all SP) loaded in my creative game where I was working on a new base. all my BP's are there even the workshop ones. and the new ones added in this new update. Closed that game and started one of my survival games yep no problems what so ever. Started a new game and the game crashes, then tried to start the Tutorial, again the game crashes. Edit: does say cont or quit if I click on cont it show the next screen just no info in it. I started 8 stacks of ingots producing in the construction q. Went offline for about 3 hrs. Now I'm back and 8 stacks of 990 and a stack of 850 are in the Output. But only about 800 are missing from the first stack in the production q. it should have used up about 1/2 of the production q to produce that many stacks in the output. Instead it used just under 1 stacks. Pretty messed up to have the loot disappear at all but when one POI takes out another? Im assuming thats a bug. @FullSized Mate if you don't mind can you please edit your messages in the future. Keeps your posts a bit more condense and not so many pages for the devs to have to deal with. Thanks and have a good flight. Steps to Reproduce: I don't remember, I somehow had the guns after losing an SV a bit ago, I think I took them from a cored and blown-up SV. Sure. NP. You mean like wait till I have several bugs and report all at once? or what? I've just been reporting them as i find them.